Odunayo Akintomide releases a new single titled 'Awesome God'. Odunayo Akintomide is a praise and worship leader, a composer and a songwriter who writes and sings under the influence of the Holy Spirit. She started her singing ministry as a member of church choir in Fountain of Hosanna church of Christ in Lagos. Odunayo is widely described as a gifted praise leader who by the grace of God brings down the presence of God whenever she ministers. 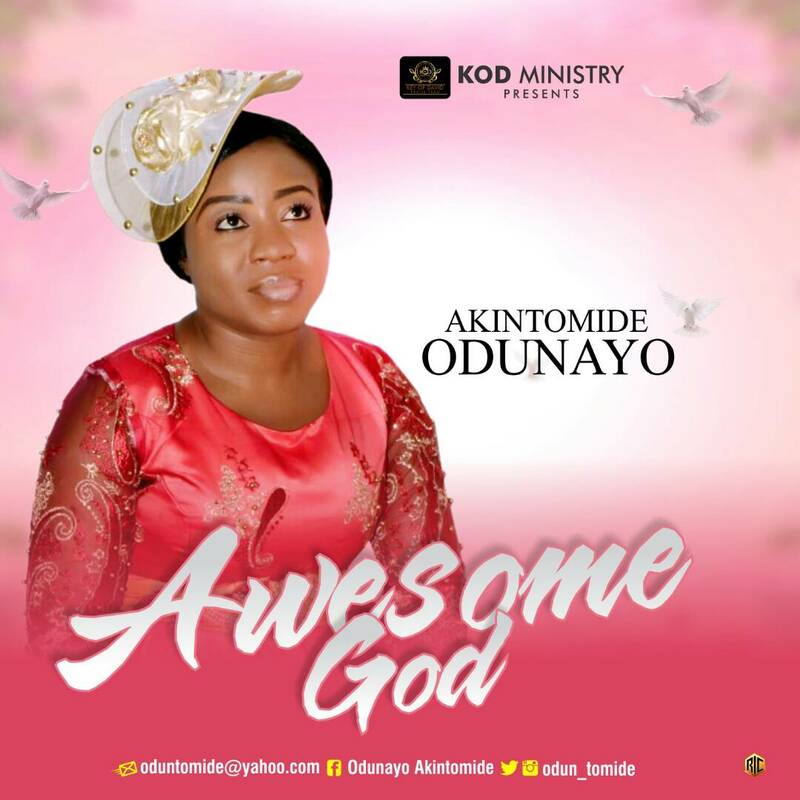 'Awesome God' is the second track off her new album titled 'Fill Me Up'. It is a praise medley, in this track, you will come across inspired praise songs that talk about the greatness of God. ''The greatness of God is immeasurable, his ways are unfathomable, there is no searching of his understanding. He created all things yet no one created Him.